The hybrid school movement is growing rapidly in the US. Why are parents and students gravitating towards online learning environments that offer some face-to-face time with teachers? Education Week has spotlighted a new school in Hawaii, Hawaii Technology Academy, that has grown to over 1,000 students in the past few years. In addition to HTA, there are other successful virtual schools that offer individualized learning programs. We’re here to help prepare our children for a lifetime of integrating technology into their work and their lives. These schools are appealing to a wide variety of students because they offer traditional academic programs in a online environment that appeals to some families. The Online School for Girls, a virtual school formed by a consortium of independent schools, offers a variety of speciality courses. By sharing resources, students at members schools can tap into a wide array of classes. No one school in the consortium probably has the resources or the school size to support all the programs offered in the virtual school. Some member schools are requiring their students to take at least one online course for graduation. 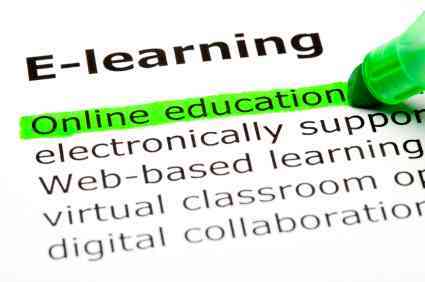 The virtual school movement in the public and charter sectors is filling a need not being met by traditional schools. They offer a flexible, 24/7 learning environment that allows students to customize their academic program. They can assemble their own curriculum, engage in the learning anytime, anywhere, and create their own pacing guide. With a fairly reach menu from which to choose, students and parents find this system meets their many of their needs. Whether they end up being successful in their approach only time will tell. Here is an interview with John Danner, co-founder of Rocketship Education, in the Hechinger Report. He outlines their goals, programs, and achievements. Another recent report on the hybrid school movement appeared in a recent edition of Harvard Education Letter, Hybrid Schools for the iGeneration. Students spend time at the “school” in individualized learning situations, working with tutors, and being monitored by paraprofessionals. When they aren’t at the school, they’re working online. The title of the article suggests that hybrid schools meet the needs of iGeneration learners because they are offer a technology rich environment to deliver the academic program. I wonder if this represents a very narrow view of what the iGeneration learner needs and wants. It seems to me iGeneration learners also crave a rich face-to-face environment that builds on strong student-student and student-teacher relationships. While the hybrid learning environment would claim to provide those connections, I don’t get a sense it represents their highest priority. From what I am reading about hybrid and virtual schools, they are growing rapidly and changing the landscape for how education is delivered in the 21st Century. Whether they end up competing aggressively with traditional schools depends on how they price their model, how well their students perform on assessments that measure successful learning, how flexible they can remain in a competitive environment, how effective they are in providing effective relationships in the learning environment, and how quickly traditional, face-to-face schools innovate to keep pace with students needs in the 21st Century. If you have resources or comments to share, please take a moment to offer a response to my blog.